Two Korean actresses are being investigated for the illegal use of the drug propofol, a sedative and anesthetic, which was suspected to be cause of Michael Jackson’s death. 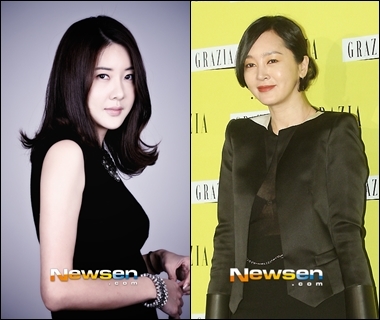 According to Korean media, Jang Mi In Ae and Lee Seung Yeon were identified by Korean prosecutors as the ones who used the drug for non-medical purposes. “Lee and Jang are among the female celebrities on the lists that the prosecution confiscated in December from seven hospitals in Gangnam-gu, southern Seoul, one of the most affluent districts in Seoul where a number of cosmetic surgery and dermatology clinics are located,” Korea Times reported. The person taking propofol may experience hallucinations and euphoria. In Korea, propofol is classified as a psychotropic medicine. Lee Seung Yeon’s agency denied that the actress used propofol for non-medical purposes. “Lee Seung Yeon suffered a fracture in her spine in 2003 during filming, and received injections of propofol under the supervision of a doctor while treating her injury,” agency JIstory was quoted by ENewsWorld as saying. The agency said the actress is still being treated for the fracture and denied that she illegally used propofol. “Because of the nature of her TV program, she can’t help but receive skin care, including massages from a dermatologist. She did receive injections of propofol under the supervision of a doctor while receiving skin care. This is a medical procedure, however, not an illegal act,” the agency added. C-JeS Entertainment also denied that Jang Min In Ae got illegal doses of propofol. “Propofol is an intravenous anesthetic, and is used in surgeries that require general anesthesia. Jang Mi In Ae visited the hospital many times to receive procedures on her skin and body from 2006 to August 2012, and before each procedure she was put under anesthesia based on the prescriptions of a doctor,” said the agency, according to ENewsWorld.